Two prominent Boston-area developers have signed an agreement to redevelop WBZ-TV’s longtime home on Soldiers Field Road, in the latest sign that a once-sleepy corner of the city has become a magnet for real estate investors. Mount Vernon Co. and National Development plan to build a new studio for WBZ-TV and WSBK-TV on a portion of the 8-acre site in Allston while the current building remains in use. Once the new studio is done, the existing building would be torn down to make way for new development. The project was recently announced to station employees. But the planning is still in preliminary stages. The developers aren’t yet certain what else they will build there, and plan to study the market and discuss the project with city officials and neighborhood residents. They hope to start work on the new station in 2019. Mount Vernon, led by Bruce Percelay, already has a significant presence in Allston and Brighton, and recently moved its headquarters to Everett Street next to the WBZ property. National is a major development firm behind a number of large projects, including the Ink Block complex in the South End. The developers said they signed a purchase-and-sale agreement with CBS last week, but declined to disclose a price. CBS and its local station aren’t saying much about the changes. Kerri Landry, a spokeswoman for WBZ-TV, would only say that the station is “exploring development opportunities for a next-generation broadcast facility” with the two development firms. The property, at 1170 Soldiers Field Road, has been home to WBZ-TV, Boston’s first TV station, for seven decades. 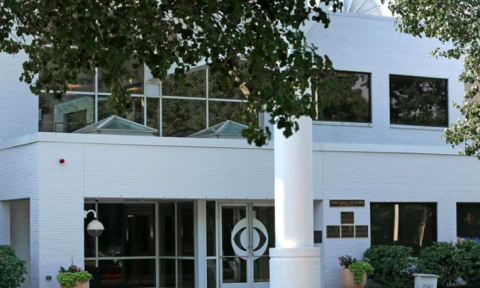 CBS, however, recently divested WBZ NewsRadio 1030 as part of its radio division’s merger with Entercom, prompting the WBZ radio operations to relocate to Medford, where new owner iHeartMedia has operations. The project is poised to accelerate the transformation of an already fast-changing corridor in Allston. Harvard has embarked on a major expansion there, and residential developments are springing up in place of old auto shops and warehouses. Peter Palandjian, chief executive of Intercontinental Real Estate, whose corporate headquarters is on Soldiers Field Road, said Harvard’s expansion plans, the big New Balance campus, and adjacent Boston Landing commuter rail station have increased interest in the area. The WBZ site is about a half-mile walk from the rail station. “It’s the single biggest transformative project that I’ve seen in Allston-Brighton in my lifetime,” state Representative Michael Moran said of Boston Landing. Moran said he expects nearly 2,000 housing units will be built over the course of a 10-year period in the parts of Allston near the Charles River. Demand is high: He said all 85 condos sold quickly in a new six-story building developed by Davis Cos. on Telford Street. Moran said neighbors aren’t necessarily worried about the increased density. Many encourage it. But what they want is more homeowners living in condos, as opposed to renters, to help foster a more engaged community.